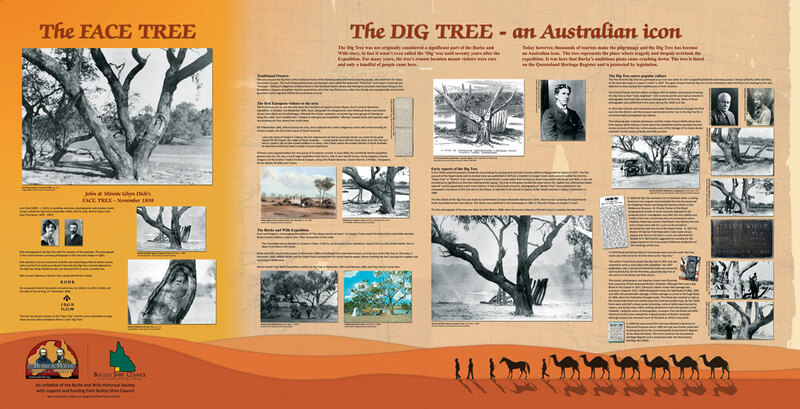 The Burke and Wills Society display which is adjacent to the Dig Tree Reserve. Near the gateway which leads down to the Dig Tree Reserve, there is a rough bush hut which contains a display prepared by the Burke and Wills Society. 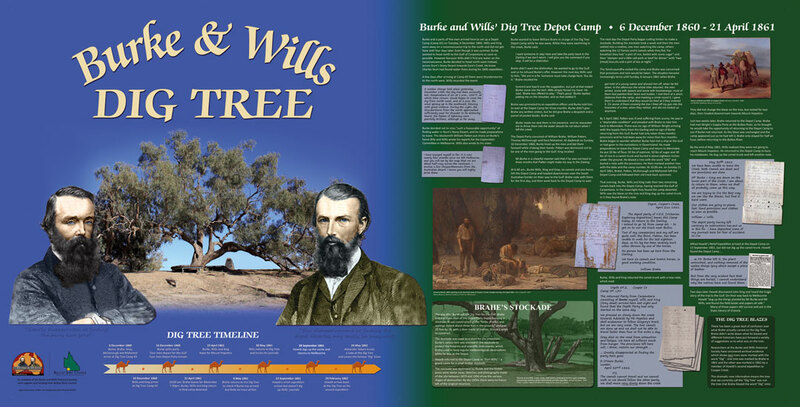 The display contains in-depth information about the Burke and Wills expedition with a particular emphasis on the Dig Tree story.